We are half way through summer which means the blogging world had moved directly into fall decorating but I'm still firmly planted in the current season. With several more months of warm weather left, stores ready to start clearing out their summer merchandise. It's the perfect time to update your outdoor space for fabulous end of summer parties and early fall soirees. There are a few key items that make great functional adds for outdoor entertaining and will reap rewards for years to come. 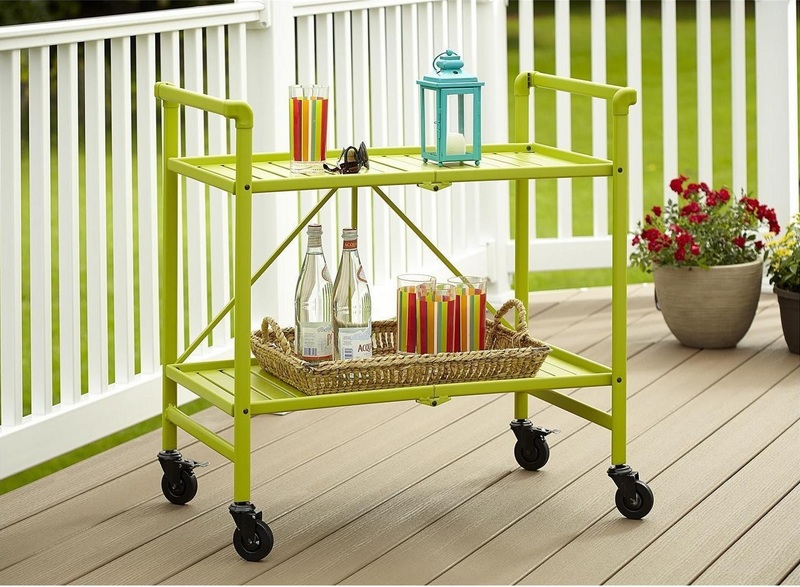 Versatile counter space whether it in the form of a potting bench turned bar or a rolling outdoor cart is so key. It can serve as a great BBQ station, a s'more fixings bar, a mimosa bar or just a place to put some extra snacks down. This folding cart is a steal if you are short on storage space. If you have a little more space and want something more substantial, this rolling potting bench/bar cart is a great add. Ok I know, I know. Using paper plates makes outdoor entertaining clean up so much easier. I get it. But adding some beautiful serving pieces really elevates any party and it's so worth a little bit of extra clean up. These melamine plates are so pretty I couldn't resist buying a whole set for my beastie's birthday. You may notice I have a slight obsession with outdoor string lights. It's true but it's such an easy way to make a space feel festive as well as add the function of lighting the night events. It took me way too long to put them up but now that I have them myself, I know they are totally worth it. Whether you go with something more durable like these heavy duty strings or you simply cover your backyard in candles, you can't go wrong with ambient lighting. This one might seem obvious but it's often overlooked. Even for a party with a small guest list, people like to mix and mingle around the space. You can invite them to do that more easily with multiple gathering/seating areas scattered throughout your space. 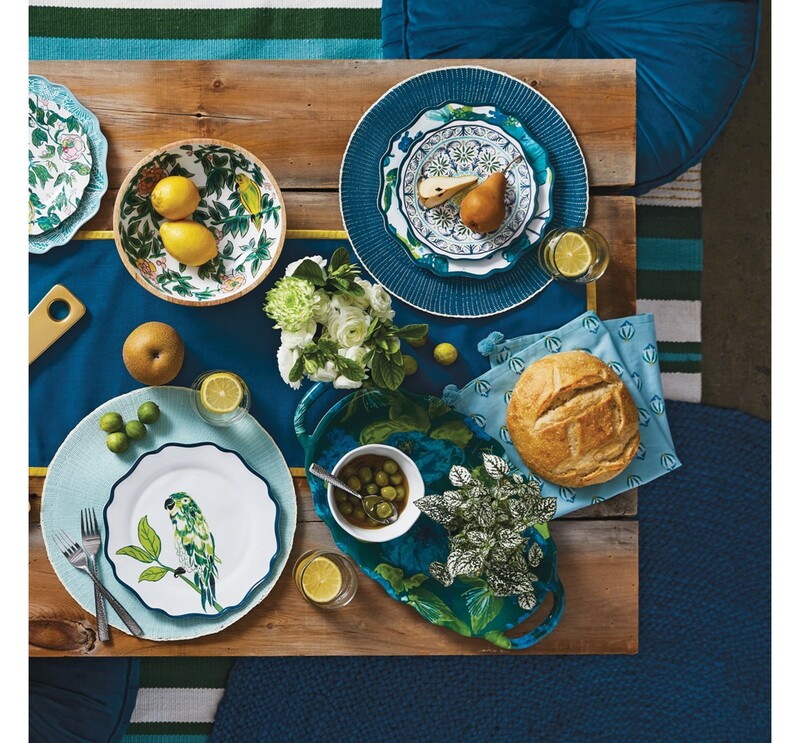 While an outdoor dining set is key, don't stop there. Think about how guests will use the entire outdoor area and put seating throughout. You can build that into your outdoor space by creating wide deck stairs or low retaining walls that double as seating, or simply buy a few extra lounge chairs and benches to create conversation areas. 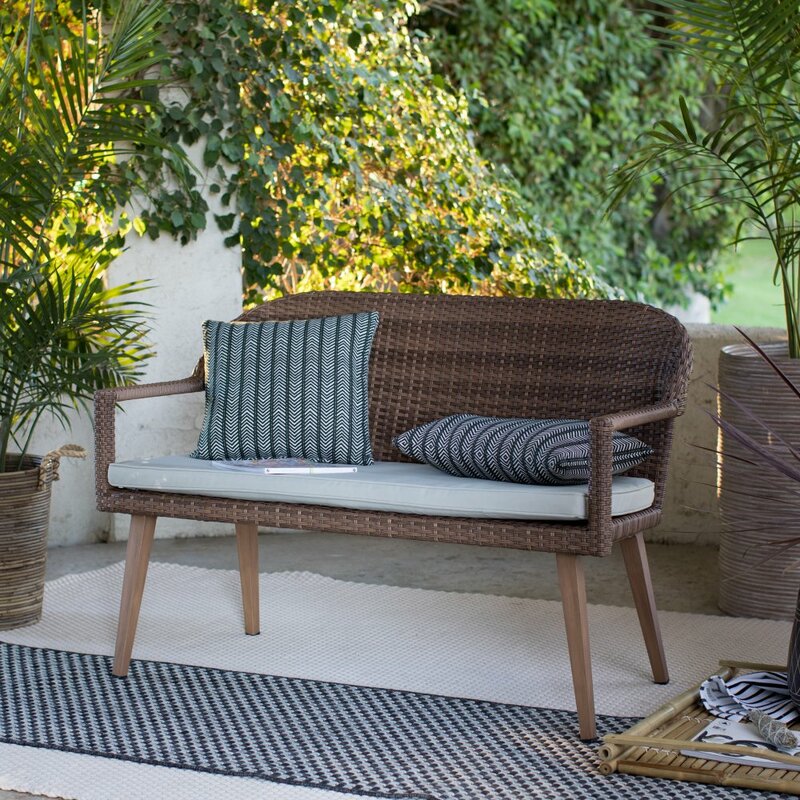 This wicker bench is on sale and it would work well in almost any outdoor space. Disclosure: This post contains affiliate links. I will receive a small commission should you purchase any of the items linked above. Thanks for supporting Brooklyn Limestone. Do you have anything you can't live without you want to share? Have a great outdoor space you would like featured? Drop me a line! Yes it does,[drat!] has anyone found the correct link yet?